Mark These Books Monday: Mini Reviews for Toads & Diamonds and Soul Warrior!! Happy Cyber Monday guys! Are you doing some online shopping?? I totally plan to do so as soon as my paycheck comes in! I've been eyeing stuff for quite a while, and now that there are so interesting sales, I'm gonna indulge a lil bit! Not in books though, giving my self imposed book buying ban. Today I'm starting the week with a mini reviews edition of Mark This Book Monday. Today I have two books that are based on mythology or folk tales, and as such both will count towards the 2015 Mythology Reading Challenge, which means I continue to improve on that already conquered challenge! A gorgeous book both inside and out! With a beautiful mix of mythology and fairy tale/folk tale feel, with goddesses and gifts that could be blessings and curses. The story is one that I think I've heard before, two girls meet a woman that is a Goddess in disguise (could be a fairy or something other, cannot remember the first time I heard it) and each of them get a different gift/curse. For one diamonds and flowers drop from her lips everytime she speaks and for her sister it's toads and snakes. 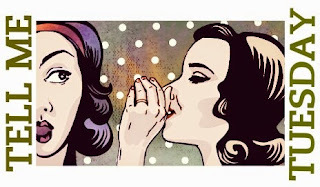 I've just loved the way the author twisted the tale here though, although the girls get the same gifts, in both cases it's bestowed both as a gift and a lesson, not gifting one girl and cursing the other. And the relationship between both girls although they're stepsisters is wonderful, they love each other as sisters and support each other as such. I love how each of them faces their gift/curse differently, and how their mother handles each curse with the same aplomb and want for secrecy and how it just goes awry. 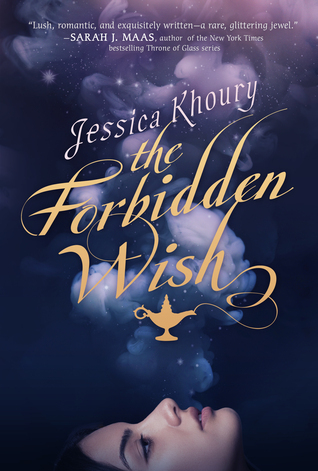 Diribani is taken to court with the prince and princess, and there among privilege she wonders what good is the miracle she's been gifted and how can she help others. Tana is feared by the conqueror rulers but not the people, and starts a journey to understand the Goddess' purpose. I simply loved the writing and the descriptions in this book, so lush and vivid! It was clearly based on the Mughal empire conquest & of the many hindu kingdoms of India, even if the religions are changed and don't really correspond, they do have that feel of cultural clashes and how the conquerors handle letting the conquered having their traditions and their faith. It has a very clear folk tale feel in the telling of it all, because while there's plenty of world building to show us the kingdoms, the plot doesn't drive to a certain event per se, but more as a way to change things and to get the girls to find their way and learn their lessons and teach them to others. A wonderful take on a known folk tale, where the girls get to make their choices and fight their battles as well as they can, with a wonderfully diverse background! Very much deserved 4.5 to 5 stars! I discovered this book via Twitter when Sonali Dev recommended it to me. I requested it on NetGalley and was approved and a lil late because it's already been released, I finally got to read it! Epic fantasy based on hindu mythology. If that sounds intriguing and interesting to you, go grab this one immediately! A certain knowledge of Hindu mythology would be good, to sort of know who is who, but the author also adds her own spin and twist, so it's not absolutely necessary (or you can read the book and find references & then learn some about Hindu mythology too!). Lord Karna is the Soul Warrior, the one that fights to keep the balance and the demons out of the Human Realm. And he gets assigned a task he never wanted, train 6 new warriors to help him defeat the demons. To add to the unwanted task, the warriors are the offspring of his brothers that he hate, and the woman he loved but that spurned him in his human life. And then as it happens, the warriors are girls! One word of warning, different incarnations, God's avatars as they are born into the human world, reincarnations, human life and then immortal life... yes, it is confusing! But that's Hindu mythology for you... take it or leave it, really. It's explained as easily as it could be here, but it's a complex and confusing mess, probably even for the Gods themselves. It does let itself to epic fantasy and loads of family & romantic drama very well though, and it's handled great by the author. The plot progresses with quite a bit of family and relationship drama, as expected with Gods & Goddesses, learning lessons from the past and Karna learning lessons from his charges. What seemed like a strange request turns to be a much bigger quest, one where he'll have to choose between honour and the task he always fought for over thousands of years, and family and love and finding a way to protect the Human Realm and those he love. Full of quite a few twists, fun characters as the 6 girls have their unique voices that manage to drive Karna nuts for the most part, a plot that thickens as pages go by and quite the cliffhanger at the end, this is a book that I highly recommend if you like epic fantasy with a heavy mix of mythology! A bit torn between 3.5 to 4 stars! Cannot wait for the sequel! Originally I had plans for having a pair mini reviews up for today, but my brain has been in a bit of a funk for this past days, so I did what my mental health needed... 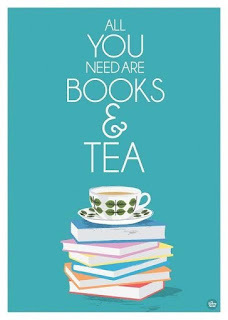 I turned to books, music and tea! The Corrs has been I group I've loved for a loooong time and when I learnt that their newest album was out today, I turned to Spotify to see if they'd be as therapeutic as usual, and the first song to play just simply hit the spot. Made me evening much better and I feel like having it on repeat for the whole weekend! Here it is: I Do What I Like by The Corrs!! Take care of yourselves and enjoy the weekend! 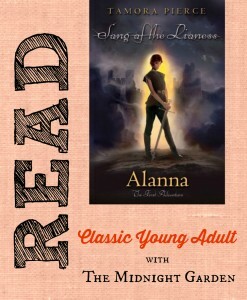 Friday Reads: Alanna, the First Adventure by Tamora Pierce for #tmgreadalong!! Happy Black Friday!! I hope you'll be safe & sound if you brave the crazy hoards of sale hunters. I plan to do some online shopping if at all, because finances are tight, no matter how tempting the sales are! I'm finally getting to read these classics and I can totally understand why they are so beloved by some of my bloggy friends! I love Alanna and her fierceness!! Re-reading this one for the Midnight Garden Readalong was quite a lot of fun, and once I finished it, I was ready to continue reading the whole series again. Surprisingly enough my love for this book actually grew with the re-read. I still acknowledge that it's a bit of a raw book, not as perfectly polished or as flawlessly paced, and some odd transitions happen here and there. But I simply loved it again. Alanna is both bold and strong and angry at the world for imposing her a role that she doesn't want to play, and resents and hates being a girl with all her might. That is one of those things that gave me pause on my first read, but this time... well, this time I know Alanna's journey and growth and I know how things change and progress, so I can understand her anger with her youth and ambition much better. I must confess to have had bouts of the same "wanting to prove that I'm as good as any boy" at things myself or be pissed at my period for making me want to curl down with a blanket, so it was never hard to put myself in her place. I loved how she worked very hard and tried very hard at mastering things that didn't came naturally to her and was always worried about the consequences of her actions, and very soon learnt that victories aren't as clear cut as you think they'll be, and you don't always feel like you'd think you would. I loved the secondary characters, Raoul, Gary and specially Jon and George. I really liked seeing the noble boys learning about more than just their Code and their battles and broading their horizons! All in all, I simply am a newly made fan of the series, and I'm itching to re-read the rest of the series again, and read more of the Tortall series! Hopefully soon! Well deserved 3.5 to 4 stars to my introduction to Tortall!! We don't celebrate it over here in Spain, but I have plenty of friends in the US that do, so I hope you lot are enjoying the day and the food coma! And after Thanksgiving comes Black Friday with the insanity and the massive sales, and that for some reason has now arrived overseas here. I'm not a fan of crazy insane multitudes, so I'll be doing some online shopping only, because I love me some sales! 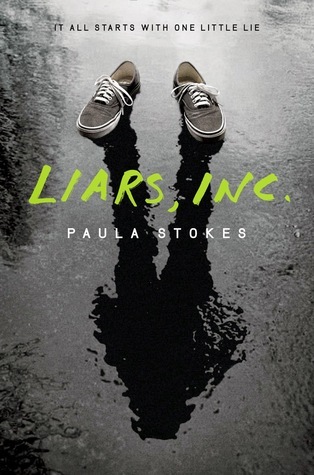 And because I love me book and sales, I'm taking part on the Liars, Inc Black Friday Sale Blitz! I read and loved this book as an ARC (and re-read and loved the finished copy!) so I want to push this book on anyone and everyone, and what better way to do it than when it is super cheap, right? Right! And now over to Paula herself!! JUST FOR FUN: Check out the top ten things I would bring with me if I had to go on the run from the feds.Includes essentials like Chapstick, chocolate, and flash bangs. If you leave a comment, tell me the top 3 things you'd pack if you went on the lam. There you go guys! Get yourself a copy of Liars, INC in time to read while the rest of the family goes nuts about (American) football or you digest the food coma, avoid the Black Friday insane lines and multitudes and continue eating the many leftovers, so many times improved by a good book!! 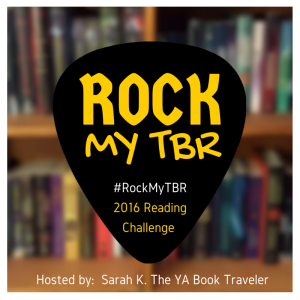 Mark This Book Monday: The Elemental Trilogy by Sherry Thomas!!! A new week, a new Monday, and back to work for me! For once I'm returning to work at the same time than most people, but after a bunch of days off, I'm feeling quite refreshed! I've had some social life, plotted stuff for the apartment, done some cleaning and loads of reading and catching up on sleep! 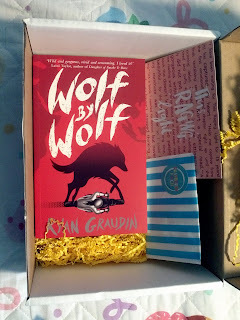 Starting the week with Mark This Book Monday, this time is three mini reviews that were my Alyssa Recommends books for September, October and November! I had failed to read one of Alyssa's list of recommendations for September and then I decided I could do the whole trilogy and catch up that way! This was supposed to be my Alyssa Recommends book of September, but rather failed at reading it on time. But I've just finished it! The magic! The world! Eton! Wyverns! The shippity ship!! LOVED! Fantasy is my favourite genre to read, along with science fiction, so when a book comes highly recommended from my fellow bloggy friends, I know I need to read it, but in this case... I wanted to wait for the whole series to be either finished or nearly so, and binge reading book 1 and 2 was quite fantastic! I had an idea about the book being about a girl passing for a boy at Eton and helping a prince but I was quite puzzled about how that would fit when I start reading the book, but soon enough pieces started clicking together. I really liked Iolanthe from the start. She's plucky, strong and capable, but she's not usually reckless and she's very much the reluctant hero, so much that she resents Titus for bringing her into the fray and even more in the way that he did. Titus, well, it took me a lil longer to warm up to him, a think a lil less than Iolanthe but I wasn't turned into a canary. We get to see his duty bound self, his fear and acceptance of his destiny and duty and his resignation make him seemingly cold when he is anything but. Romancephobe here, but I just shipped the ship so much! Not only they have an attraction that is floating there somehow, they are comrades in arms and make a great team once they fight their differences, the not-so-good starts and put all the cards on the table! The world building was fantastic, the mix of normal places and the magical realms was so well done! You could tell how the atmosphere was different and you just felt you were in very different places! I loved how the author managed to make us feel like we were in Eton with those boys, and you really felt Iolanthe's worries about discovery! The plot is perfect for a first book, giving us enough of a storyline to be completed but knowing that there's much to come still, and that the battle might be done but the war isn't! It doesn't end with a cliffhanger at all, but still leaves you wanting more! My October Alyssa Recommends book and one of those sequels that throw you a curve ball, upend all your expectations and do not suffer from sequel slump or second book syndrome at all! I started this one immediately after finishing book 1 and the beginning of the book really threw me off, as it was nothing as I would have expected! We meet Iolanthe and Titus in a very unexpected and dangerous situation, with no memories of themselves or each other, and boy with how much I love them teamed up and together, seeing them start again from scratch was both tough but also terribly endearing and heartwarming! The action moves from the very life threatening present to the past while we try to piece together what happened to them to find themselves where they do and without memories, and it's agonizing! I couldn't turn the pages fast enough! The plot twistes itself quite a bit in this one, with disagreements, Iolanthe having issues with her destiny or lack thereof, Titus being a bit of an arse at some point of another, but not enough to make you dislike him, just to shake your head at him and his one-mindedness about the prophecies. Many of the twists were game changers and some of them are in even better appreciated once you read the final book! This review is a bit more vague, but I really don't want to end up spouting spoilers if I get overenthusiastic talking about the book! Once again, great fantasy book with awesome world building, characterization and impeccable pacing & plotting. Very well deserved 4 to 4.5 stars! My Alyssa Recommends book for November and another resounding success! 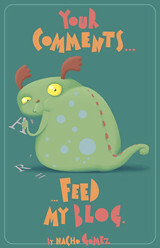 I really loved this one to bits! It started right where the last book left us, with quite a cliffhanger by the way, and it put us straight into the action & the battle! Wyverns, lightning, very very frightening! (errm, sorry, I got carried away with the Queen reference there...). I'm gonna struggle with this review not because I didn't love this book, because I did and very much so, but because I feel like going into it knowing as little as possible will make the reading experience even better! Let's just say that the books is action packed, Iolanthe is her awesome self, Titus has a few somewhat understandable lapses of judgement where we can understand his point but we also want to shake him for it. The Bane is damned scary, war is ranging and no one is safe. More prophecies come into play and there are casualties. And if the tension of everything else is not enough, and it'd say it really is, when we get to the epilogue, Sherry Thomas shakes us once again so we don't get too comfortable! Quite probably my favourite book of the three of them, very much deserving of 4.5 stars! Yesterday I absolutely enjoyed my first opera experience, getting goosebumps and nearly crying at the end, Madama Butterfly was fantastic! Now the besties and me are planning to go see Rigoletto next when the company plays it in Feb/March! This one was simply lack of self control... AGOS is one of my top 3 most awaited sequels for 2016 and the moment I saw this sampler available on NetGalley I knew I had to read it. It's quite a big sampler, and I'm already itching to re-read it, so I won't have a problem with re-reading the beginning once the book comes out! Although I was 100% before now I'm 1000% sure that I'll absolutely love this book!! Our beloved Lila Bard is being her badass self, and even more badass that ever before! I just had to adore her & her restlessness and her wish & fear to belong and settle down. We see that change has come to Red London, Grey London and White London, and whatever we thought we knew about the Antari is being challenged very early on! Or maybe I'm just reading too much into certain details... Who knows! We meet a few new characters, although we barely get to know them, although Alucard gets a bit of more page time, and he promises to be a very interesting character indeed! There seems to be a certain history that will come into play later on, and I cannot wait to find out more! 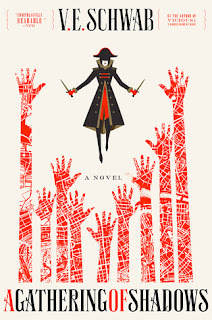 Really guys, if you haven't read ADSOM, go read it now and if you have... go preorder AGOS NOW! 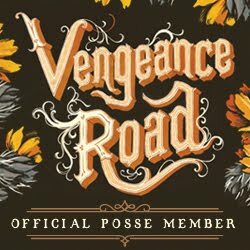 If you already have it preordered, as I do... rest assured, we're gonna love this one to pieces, I KNOW IT!! 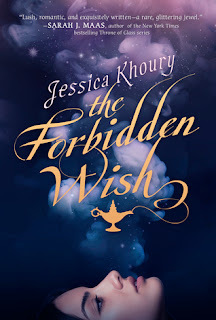 Jessica Khoury has a few books out already but for some reason I haven't read anything by her yet, so when I saw the sampler for this one (fantasy! Aladdin retelling!) I decided to check it out and see if it could be my kinda thing. And as it happens, it is! I really enjoyed both the descriptions and the writing and loved how it starts and feels familiar (if you've watched the movie) but also how different it is, and not only because the genie, jinn in this case (let's be proper) is a girl, but also because of how much history is behind the current story. How much regret and guilt the jinni carries with her. We meet quite a few characters that could be familiar but that are also complete different and with a very different history and development, from Aladdin himself, to the princess, to the Jinni... And I cannot wait to see more of these characters, and of course to get more of the world building and of the history snippets that Zahra gives us here and there. The sampler gave us only a small peek at the plotting that might come into play in the book, from Zahra's mission to gain her freedom to Aladdin's quest to do something important, and where both might clash at some point and what choices will Zahra make this time! This sampler convinced me that I want to check this book, so much that I ended preordering it! 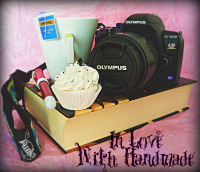 This is sampler that I requested because this is a book that by all usual standards I ought to be super excited about! 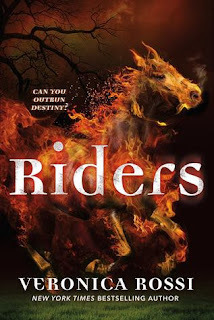 It's by Veronica Rossi and I adored her Under The Never Sky series, and the book is a reimagining about the Four Horsemen of the Apocalypse, so really... it sounds like it'd be a Pili book! But for some strange reason I'm not that excited about it. Reading the sampler I was a bit thrown off by how it starts in the middle of the action so to speak, and how our main character spends his time tied to a chair telling someone from the US government (and us of course) all that's been going on till that moment. I don't usually mind that style of storytelling, but I'm not sure how I'd like if the whole book is gonna be told like that till the final part or something... At least all of the sampler is Gideon recounting what has happened. And although I want to find out more and meet the rest of the Horsemen and know what the hell happened to land Gideon in military custody... it feels like there's a lack of urgency since it's a recount of the past. After reading this sampler I'm still unsure of this one, and will be awaiting reviews from my bloggy friends that got ARCs before deciding whether I get this one or pass it up. 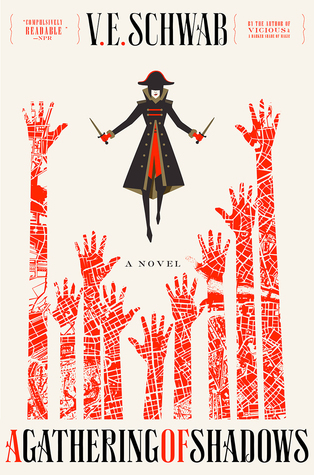 Friday Reads: ARC Review of The Paladin Caper by Patrick Weekes!! Happy Friday! I hope you guys are having some cool plans for this weekend! I am having a bunch of days off and today I'm going to the opera! My first time and I'll be watching Madama Butterfly, so very excited! For this week's Friday Reads I have the final book (for now, hopefully, because I want to read more books about these characters!) in the Rogues of the Republic series up for review! Once again another fantastic book that had me glued to the pages and that managed to surprise me more than a few times! I'm so very grateful that I got all three ARCs from Netgalley because reading them in quick succesion has been so much fun! Plot twists are the bread and butter of fantasy heists, because you're not supposed how the plans would unfold, and you're not even supposed to know when something is part of the plan, is a planned for contingency or all hell is going to break loose, and sometimes it'll be a lil bit of all three!! Patrick Weekes manages to take everything the previous two books had and twist it a lil further and make it a lil bigger to make this book a lil darker and still keep the irreverent tone from the previous two books. The humour was still there too, but things were getting so dire that I didn't have as many laugh out loud moments. Now that I've finished the book, I feel like I miss that humour but while I was reading the book I was too engrossed and worried about everyone's fate and what would come next to think of the comparable lack of humour in this one. Loch continues to be one hell of a main character and the rest of the gang do get quite a bit of limelight and progression and character development as we see a bit more of what makes them who they are, and what their choices what change in themselves as well as in the fate of the Republic, because... did I mention things are a lot more dire in this book? Because they really are! The previous book ended with shock and betrayal and this one deal with the consequences of it, with fighting an enemy that you didn't know was an enemy at first and with privilege and freedom and mind control and information vs propaganda. We still have dragons and unicorns and talking weapons and warrior monks and death priestesses and elves... And we're never too sure about who is on who's team at times! I don't want to continue rambling on about the book because I fear I'll end up spoiling something but if you like fantasy books and heist books and want to read something captivating, fun and diverse, you need to add the entire series to your TBR pile! The book has a rather definitive ending, no cliffhangers or anything, but I would love to go on reading more adventures of the gang for more books to come, so I'll keep my fingers crossed! Challenges Update: 2015 Debut Author Challenge & Mythology Challege: DONE!! And this year, with its emotional upheavals, all the buying of the apartment, all the working in the apartment and everything in between... I think I've been worse than usual at keeping track, so much that I was sure I had failed most of my challenges but once I actually bothered to check, I've already completed two successfully!! 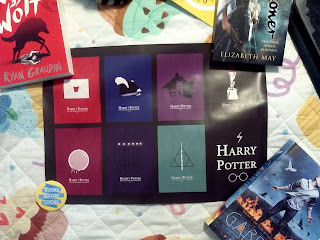 My sign up post for this challenge is HERE, and I was aiming for the Silver Reader level, which meant reading between 10 to 19 debuts (from 2015 and also 2014) and according to my GoodReads 2015 Debut Authors Challenge shelf, I've read 13!! I'm hoping to manage to add a few more to this list, but I don't think enough to reach the Gold Reader category... 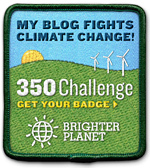 Still, it's November and it's one completed challenge! The second challenge completed is one that I wasn't too sure I'd manage to complete but once again upon checking, I had already completed it (thank goodness for GoodReads shelves!). 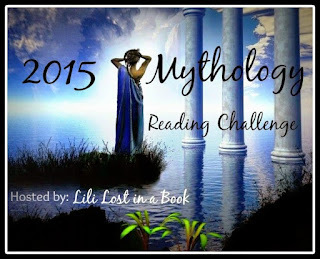 HERE is my sign up post for the 2015 Mythology Reading Challenge, where I was aiming for God Level, which meant reading 6 to 10 books and once again, to my surprise, I've managed to read 6 already! I hope to add one or two more before the end of the year, but even if I don't, I've completed the challenge! Today I have a post up later than I usually do but it's for a very good reason!! I don't know if many of you are familiar with what subscription boxes are, but they're this surprise treat that comes either monthly or bimonthly or every three months, with a theme and goodies related with that theme! 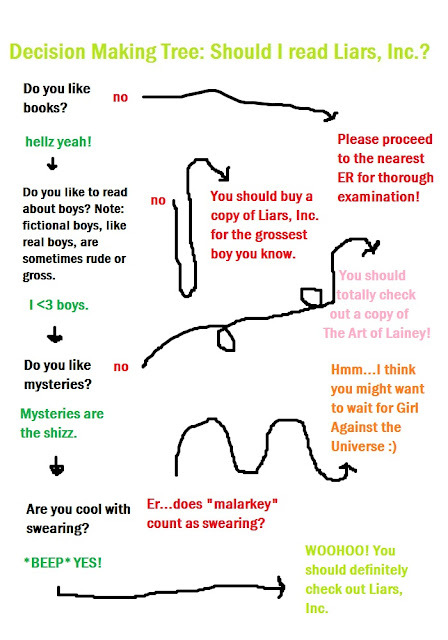 There are all sorts, geeeky, movie based... and of course, book based! I had never subscribed to one not for lack of wanting to, but because none of them ship to Spain, or do so at a reasonable shipping rate... BUT, all that changed when Illumicrate happened! It's UK based which means the shipping to Spain for once is SUPER affordable!! I signed up without a doubt and today my November box arrived!! The box is really lovely and it has the logo and all, but the Spanish mail decided to put a gigantic sticker with my address on top of it (because the fact that the ladies behind Illumicrate had put the sticker at the bottom, so pretty pics could be taken to show off meant shite to them...) so sorry, no pics of the unopened box! I have to say the attention to detail from the ladies behind Illumicrate is fantastic, seeing that made me grin! Thank you for all the love you've put into this Daphne!! And here is my loot!! 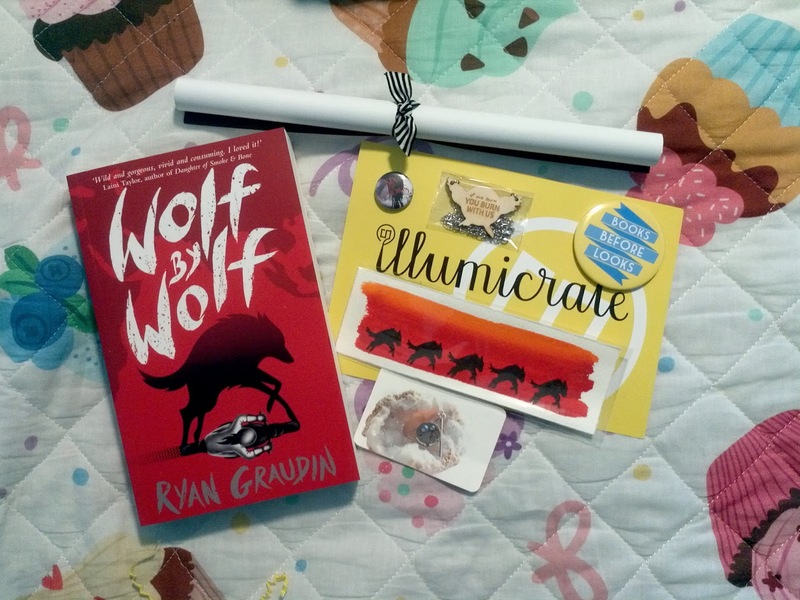 An UK copy of Wolf by Wolf by Ryan Graudin, a wonderful matching bookmark, a Hunger Games necklace (with one of my fave quotes), a "Books Before Looks" pocker mirros, a Six of Crows pin and that rolled up poster! Now I need to unroll the poster properly so I can hang it somewhere because I had wanted a poster for all the Harry Potter books for my new apartment and I couldn't decide which one... and now I have this minimalistic book covers poster that I love!! 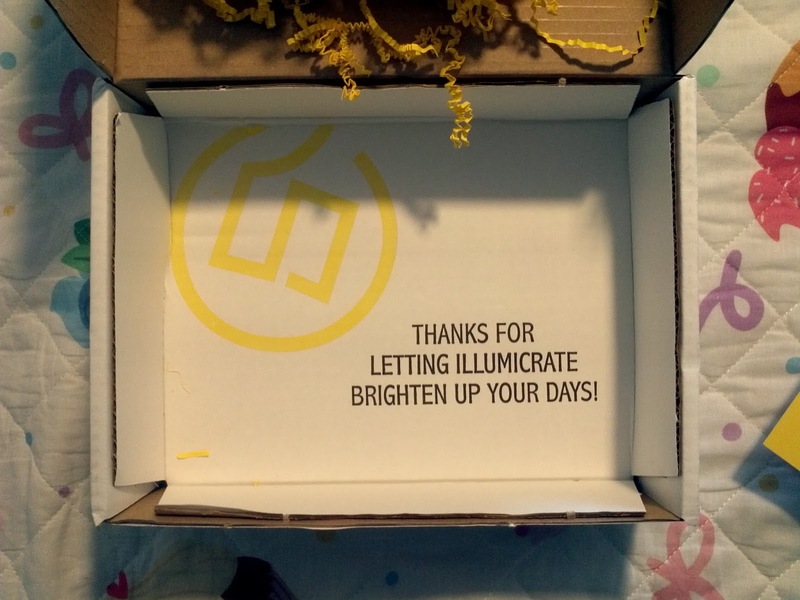 I couldn't be happier that I decided to subscribe to Illumicrate and I'm so very excited for my next box to come!! 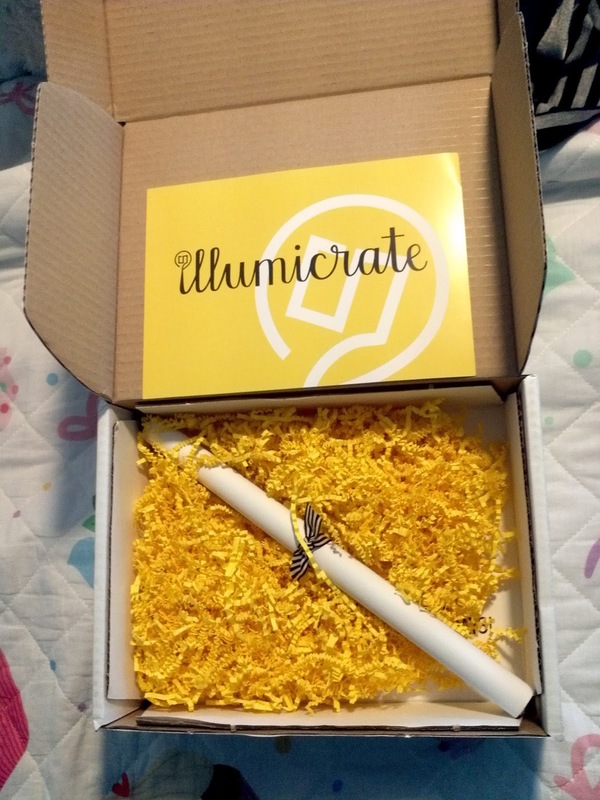 If you're wondering if Illumicrate is for you or wondering how to sign up, go HERE and see how it works! They're currently SOLD OUT but you can sign up to get updates when they open for subscriptions again! It's been a while since I last posted on Tell Me Tuesdays so hi there!! The Paladin Caper is the last book (for now, hopefully there will be more) on The Rogues of the Republic series, a fantasy heist series, as I like to call it, and one that I'm loving to bits! So happy that I got approved for them on NetGalley! 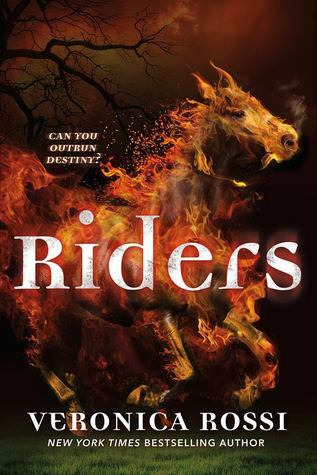 And Riders is only a sampler I got from NetGalley, because as much as I think the summary sounds amazing and should be something I'd be all over it, I don't seem to be able to be as excited for it as I should! So I got the sampler hoping to either discard it completely from my list or finally get as excited as I should. Mark This Book Monday: ARC Review of Passenger by Alexandra Bracken!! A new week is here and I'm highly awaiting my Illumicrate in the mail and hoping The Book Depository will ship my preorder of The Vanishing Throne soon, but it still won't arrive by release date... oh well!! For this week's Mark This Book Monday entry I have an ARC review from one of my BEA ARCs! So far I only have 3 pending to read, and only two are behind schedule, so not doing too bad! WOAH! Holy revelations at the end Batman!! And I seriously dislike Sophia with a passion, even karma seems to be doing its work! My BEA ARC is nowhere near the finished book and I really really loved it, so I cannot wait till I can read the finished book! Reading Passanger as an ARC was a new experience for me, because it underwent revisions and a new beginning was added, with changes that had to span the rest of the book, more minor as they might be. So while I had the new beginning because the author had sent them on her newsletter, I had already read the old beginning too (stopped reading when I heard about the changes) and when I started reading again, I had both beginnings in my head, so to speak. That made for a different reading experience, because not only I was reading the book but I was also wondering about how some things might be affected by the changes to come in the final book, and how some other things would have been changed. If you're wondering if that somehow affected my reading negatively, nope! It made reading the book even more fascinating! And I must confess to be absolutely in love with the essence of the story and the characters! No matter what changes have happened to the story, I love Nicholas, I love Etta and I love their world of time travelling families and passages! The world building was fantastic, with little details here and there that might have not seem all that relevant until they became crucial! I loved how Alexandra Bracken took us to many different places and times in the world and how very real each of them felt! There were so many lil tiny details added here and there that you might not notice too easily but that do create a great atmosphere! Etta was a great character even if it took me a lil while to relate to her. I could see her love for playing the violin and her drive and ambition but once she was thrown into completely uncharted waters it's when I began to really like her. She was trying her best to adapt and understand but she couldn't stop being herself and that got her in trouble a few times. It's true that she sometimes run without thinking, but being treated as if she ought to know everything and be grateful for her choices being taken from her can make anyone make a few rash (and slightly unwise) choices. Nicholas is a fantastic character, with a troubled and difficult past, hard choices made for him and others he had to make himself, and despite his justified hate of the family, he's not one to judge others too easily or too fast, even when he is judged and dismissed too easily too often. I don't want to talk too much about him because you simply need to meet him yourselves! If you're wondering if there's romance, yes there is, and the romancephobe that I am doesn't really complain about it! There was a bit of instantaneous fascination at first, and they're thrown together by fate and family interests but their connection and chemistry felt quite intense and real, so I do ship this ship, very much!! As far as the plot goes, you are not really sure about where things are going at first, so we're very much like Etta, but as she figures things out, everything seems to be taking shape. But don't get too comfortable because there are some serious plot twists thrown here and there, and the bomb at the end of the book is quite something too! Cliffhanger warning here for all of those like me who need to be prepared for them! I cannot wait to re-read my finished copy of Passenger once I can finally get my greedy hands on it. This ARC got 4 stars but I get the feeling the finished book might get 5 stars once I read it! 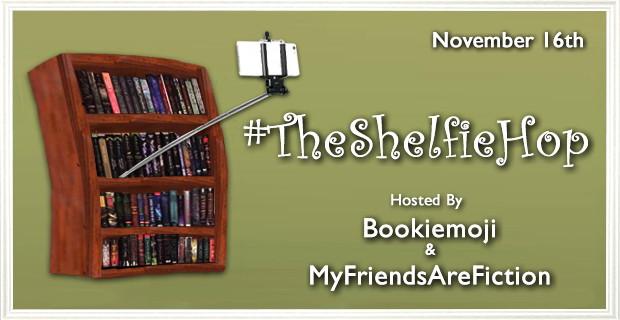 #TheShelfieHop hosted by My Friends are Fiction & BookEmoji!!! 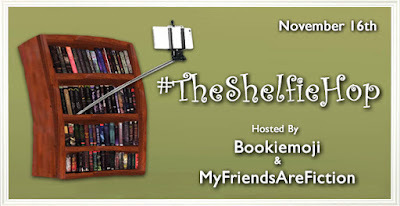 I'm so beyond excited to take part of the first ever #TheShelfieHop hosted by the very awesome Kristen from My Friends Are Fiction and Crystal from Bookiemoji!! What's a shelfie hop you might be asking? 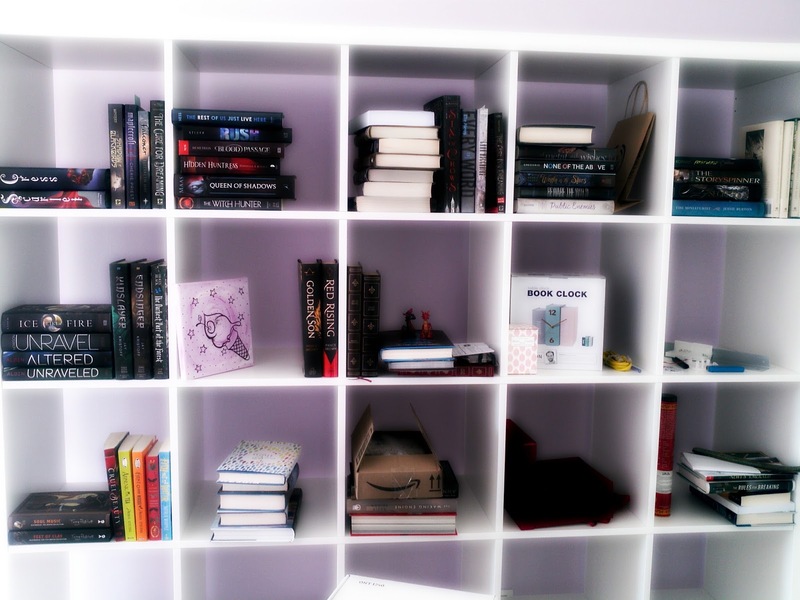 Well, it's a chance to share pics of our beloved shelves with all our books!! 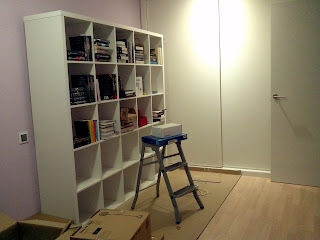 Or, in my case... a chance to post work-in-progress of my library room!! I moved to my apartment on September 1st, and I had hoped to have advanced more on my library room (and other rooms too) but given that most shelves are huge and need two people to assemble, I need to wait till my bro or nephews have time off at the same time I do so they can come help... and that's rare! So here goes!! 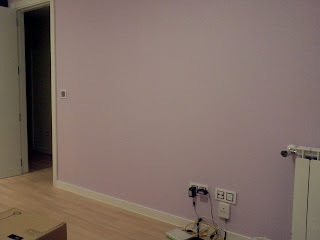 Pics of my library room IN PROGRESS!! That's currently the only shelf I have assembled! It's quite big and books can be stacked on double! There you can see how solitary the poor shelf is feeling right now! 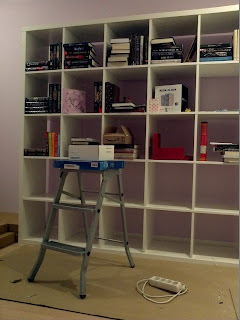 Right next to that shelf will go another just like it, that is somewhere in those boxes along with another two more shelves and the reading lamp, awaiting assembly! 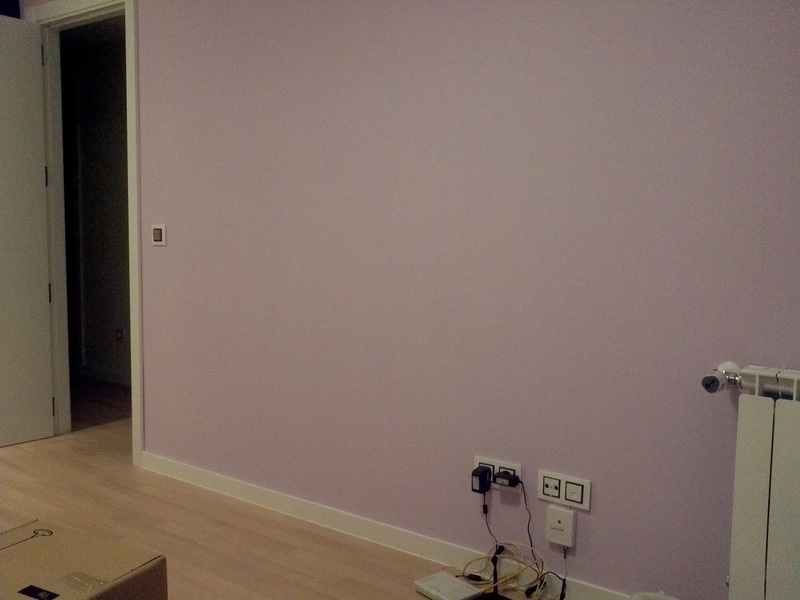 And a small puff to sit, my phone and routers that also need somewhere to put them other than the floor, but I still need to buy something, although I already have it picked... next paycheck! That's the space for two more narrower but taller shelves that are also awaiting assemply in that pile of boxes you've already seen! And here's a closer look at the very few books that are on the shelf. They're the ones I had on a particular TBR pile for a challenge or even October, re-reads, that were not in boxes or that have arrived at the new address! And you can also see Morrigan and Mini-maug there! Not their permanent home, but their place for now! 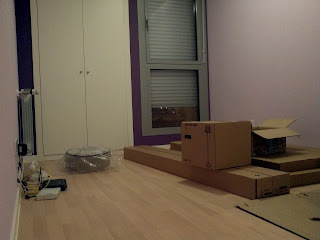 I have loads of plans still for my library room, but it's slow work and a lot of money, so I have to take it slowly! 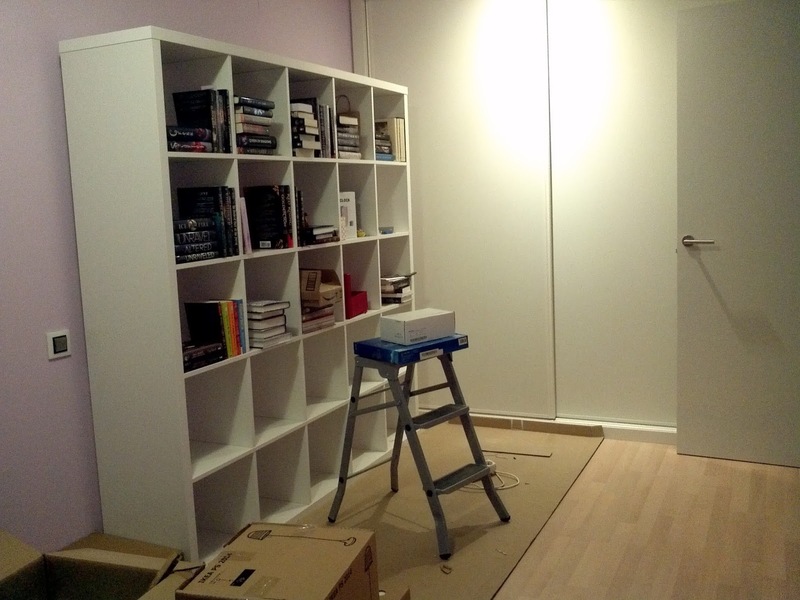 Once all the shelves are assembled and all the books sorted, I will get a divan/day bed so I can spend hours on end reading there! And obviously once it's all done, I'll make a post on the blog sharing ALL THE PHOTOS!! 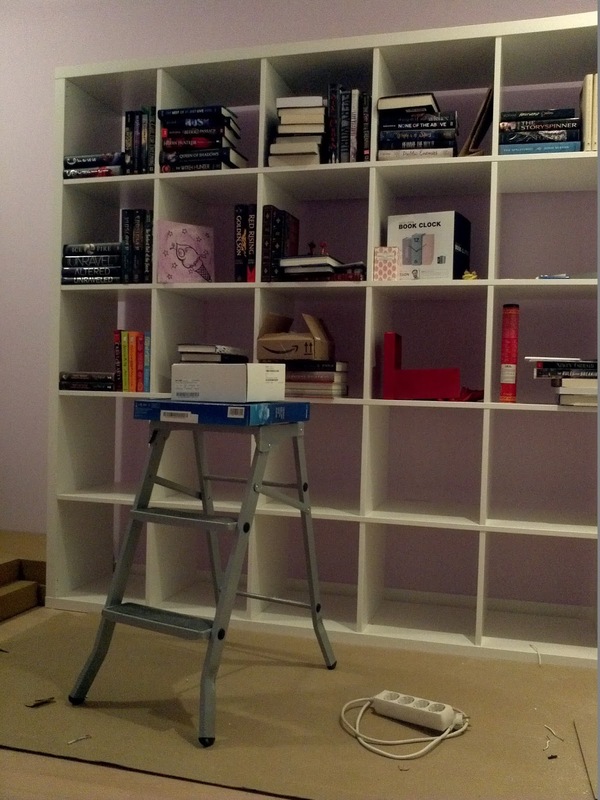 Now, I'm not the only one sharing pics of her shelves, and I'm sure most of the rest of my fellow book lovers will have finished shelves with many more books and less IKEA boxes, so go check them out! !